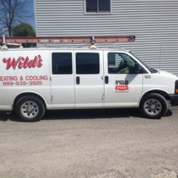 November 2014 - Wilds Plumbing, Heating & Air Conditioning Inc. November 2014 - Wilds Plumbing, Heating & Air Conditioning Inc. The safety and comfort for you and your family is our number one concern. When you work with us, you work with a team of professionals who care. From our friendly and helpful customer care team to our highly qualified and experienced technicians, we know what it takes to get the job done right the first time around. We won’t cut corners to save time or money, our technicians check and double check their work to make sure that everything was done according to code and regulations.